For small business owners or startup founders, it is quite natural to fall in the trap of micromanagement. They are the reason why the business exists. They know how to do things because they have been around since the beginning. On top of that, most of the time in business, decisions, and actions need to be executed quickly and with no mistakes. Learning how to trust employees can be very hard. Finding the right balance in management between trust and control is even harder. Many founders struggle to adjust to this process. Failing to adapt and change your management style, however, can lead to more significant issues than not making decisions fast enough. 69% of employees have confessed that they considered changing jobs because of micromanagement, and 36% actually did it. Without doubts, it’s difficult to trust someone in your team with your life business. However, the cost of onboarding a new employee, together with the time spent on getting her up to speed is far greater than giving someone a chance to do a good job. Why Do Founders & Business Owners Micromanage? 1. Are You The Only Decision Maker? 2. Are All Tasks Created Equally? 3. Are You The Red Tape? 4. Does Project Reporting Own You? 5. Do You Know It Better? What Are The Consequences Of A Micromanaging Culture? How To Stop Micromanaging And Start Moving Forward? 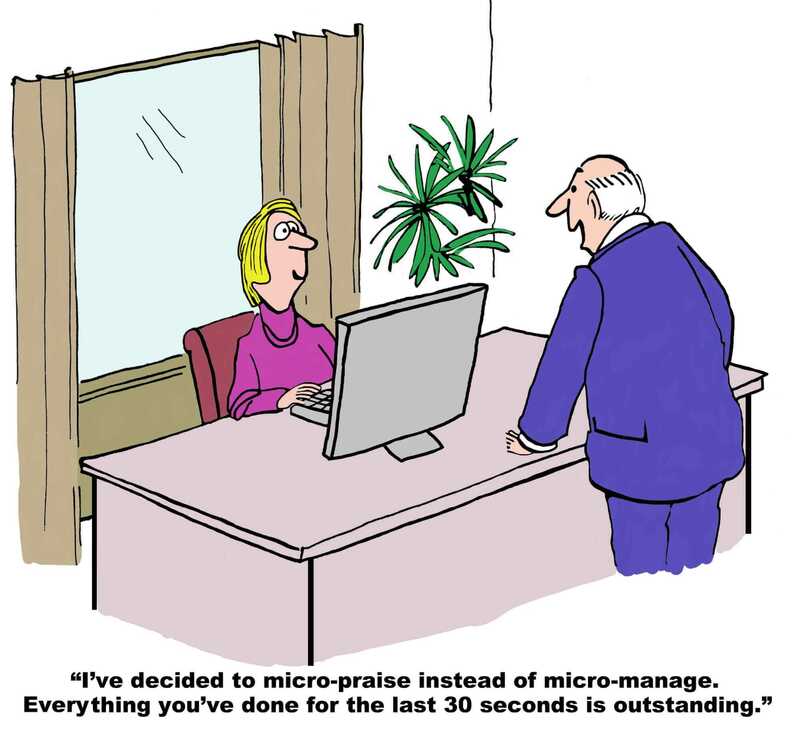 As the word suggests, micromanagement is about closely controlling or observing employees’ work. Although in some cases, this management style might be understood, especially for small-scale projects, generally speaking, micromanagement has a negative connotation. This is mainly because it shows a lack of trust and freedom in the workplace. Let’s say that you need to assign a task to one of your team members. Usually, managers would sit with the employee, explain the task, make sure that all the tools and resources are available and then leave the employee complete the task by herself. There might be daily/weekly check-ins, depending on the task, but generally, the accountability is shifted onto the employee. The manager would also make sure that decisions and mistakes happen (in a controlled way) so that the employee can learn and grow faster. In a micromanagement situation, on the other hand, managers would overly control decisions and activities by the employee. Requesting continuous feedback on progress and creating a fearful environment, where the employee would feel anxious about making mistakes. There are several reasons why business owners tend to micromanage. As said earlier, it is understandable, to a certain extent, to be like this. However, it’s important to recognize why they do so and how to avoid it. Fear Of Delegation – Owners know how to do things. That’s the reason why they are there, and their business is growing. Giving that task to someone else, however, opens a big question mark on whether the task would be done in the same way as they think it should. Quality Output – Attention to details is often the critical issues in micromanagement. Founders are afraid that their team members might not pay enough attention to details as they would. Fear Of Losing Control – As the business grows, the attention shifts away from daily tasks, giving business owners the feeling of detaching themselves from the business. Micromanagement is one way through which founders try to feel still “in control” of everything. This is probably the hardest thing to find out. We all know that no one likes to be micromanaged, it turns out, however, that no one really wants to be known as a micromanager. To make sure your business strive and growth is at the center of everything you do, it is essential to do a “sanity check” to find out whether you tend to micromanage your business. The first step in understanding whether you are a micromanager or not is to check whether people in your company are getting you involved for every single decision they need to make. Are they asking your approval for everything? Are they CC’ing you in every email? When this happens, the team members’ creativity is non-existent, and no one takes a problem-solving approach to issues. Urgency is one of the most challenging things to deal with for micromanagers. While it is true that many tasks are important when growing a business, failing at recognizing the urgency factor can lead you down a slippery slope. Being involved in urgent matters doesn’t make you a micromanager, however, if every single situation gets your attention (and time) in the same way, then you are not prioritizing things in the right way. Bottlenecks are usually the result of excessive bureaucracy rather than employees’ ability to deal with tasks. If you require every single decision to go through you, then you are the biggest and the most dangerous bottleneck of your company. You have a limited amount of time, and for this reason, you cannot overlook all decisions and tasks. Of course, you might want to overlook important decisions but getting your involvement can lead to delays in making things happen. Getting tangled in details is one of the primary cause of delays in getting things done. If you keep asking your employees to report on projects, outside of the agreed timelines, then you are wasting everyone’s time. When setting tasks or projects for your team, make sure to have milestones check-ins and let your team work through these. If something is of particular importance, make sure to stress that out. Another problem with over-reporting is to point out other people’s mistakes more often than what needed. If you do so, you will get stacked into a loop of request-acceptance from your team. They won’t be able to move forward before getting your approval. Another common problem of management is to let others tackle tasks in their own way. Especially as a business owner, you tend to think you know things better than others. However, if you constantly tell your team how to do things, you will block their creativity, and you will only do things in one way, your way, which might have worked until today but it doesn’t necessarily mean, it’s the best way. Understanding the consequences of such a culture is an essential step towards improvement. If you are guilty of being a micromanager, you need to understand how the people around you feel so that you can start making changes. Lack Of Confidence – Employees might start to think that you don’t trust their capabilities in tackling issues. Lack of trust is what comes next, which leads to average outcomes or even worse turn over. Drop-In Morale – A micromanaged team is worried about making suggestions and innovate. With this atmosphere, team members will start to struggle with their confidence in doing a good job, which will then lead to low performance. Shift Of Attention – As a business owner, you are the one who knows how to do specific tasks; no one else can. If you micromanage your team, you won’t have time to take care of other essential things you should be looking at. Micromanaging is a problem that can result in company failures. However, it is not the endpoint. There are ways to move forward and improve how things are done. The following insights can help you solve this issue and create a winning culture for your company. As simple as it might sound, hiring the right people will give you peace of mind. One of the pillars of creating a better working culture which is not based on micromanagement is accountability. It is much easier to have a culture of accountability with accountable people. The hiring process becomes a crucial step in creating a better working culture. How often do candidates seek for advice? How do they look for feedback? Understanding how someone values accountability from the very beginning can help you save time afterward. On top of that, if you are not involved in all hirings (and you should not), you should make sure every hiring manager is aligned in terms of value and understanding what is that the company is looking for. A bad hire not only creates a stressful work environment for you and others, but it also has a direct impact on your financials. Actions and outcome are very different. Managers tend to spend a lot of time telling their teams what to do and how to do it but invest very little time in the desired outcome. Making sure everyone understands what you expect from them is the key to avoid micromanagement. When working on a project or a task, take the time to align with your team members on what is expected from them, rather than telling them what to do. Hold them accountable for the result, not the process. In this way, you encourage employees to make decisions and be responsible for how they tackle tasks. This will also take off the pressure of being controlled all the way. Moving away from being a micromanager can be complicated. For this reason, having a structure in place that allows you to check-in regularly with your team can give you peace of mind. Micromanagers show lack of trust for their team and have control issues. Working in this way, setting up clear weekly goals with the team can minimize the anxiety of not being in full control of what’s happening in your company. With micromanagement, as said, comes a lack of trust and difficulties in communication. To help you and your company move on to a more productive stage, you should make people feel comfortable sharing with you their thoughts and concerns. 39% of employees feel like there is not enough communication in today’s organizations. Opening your doors, as a manager, will create a stronger sense of team and it will allow you to understand what works and what doesn’t. Remember it’s about the outcomes, not the activities. When employees feel that they have a saying in what’s happening in the company, they start being more accountable for their work. Decision-making power comes in all forms. Business owners usually struggle in this as delegating decision-making can lead to difficult business situations. However, when employees are given the power to decide, most of the time they think like the owner. On the other hand, building a long-term ownership plan can create more accountability. Companies around the world have stake options for employees, depending on their seniority and the time they spend working. Balancing empowerment and accountability is not simple. Understanding the importance to move away from micromanagement can lead to far greater results than potential problems coming with more freedom. You hire employees because you trust them with their capabilities. Not giving them the possibility to shine and do more for you will create frustration. With dissatisfaction comes all sort of negative attitude that spreads in your company like cancer. To be successful and to be on top of the game, you will need to shift from a manager to a leadership role and let employees help you to do the heavy lifting with you.